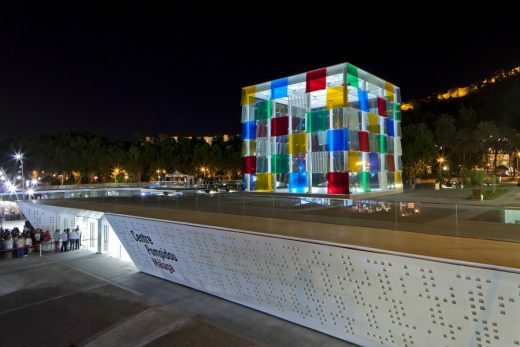 Since this spring, Malaga has hosted the first “Provisional Pompidou Center” in the world in which you will see a hundred works on loan and several temporary exhibitions from the Pompidou Center in Paris. The museum is located in an existing space located in the building known as The Cube at the town pier. 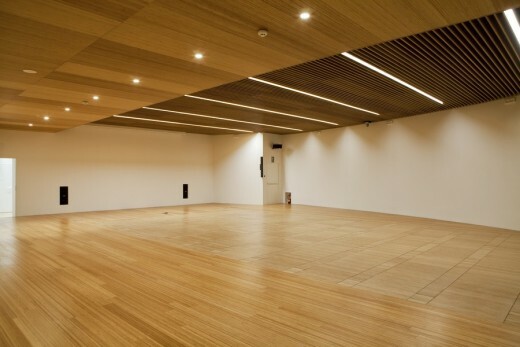 Municipal architects Javier Perez de la Fuente and Juan Antonio Marin Malavé have adapted an exhibition area to this space. It is an almost rectangular building with two levels having a lengthwise space as a large double height hall. The space has a 12 X 12 metre area In the center that is illuminated from the upper glass cube, which has already become a symbol of the new pier. 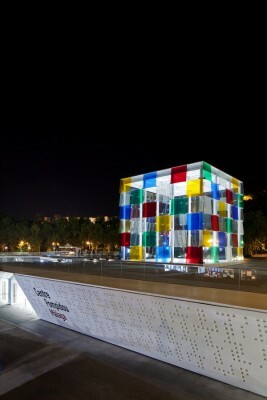 The cube is made up of dozens of coloured glass panels by the French artist Daniel Buren. The interior is a versatile space that invites people to wander the open access areas as well as the controlled access to the exhibition spaces. The design shuns taking the spotlight and tries to generate neutral spaces subordinate to contemplating the art work. 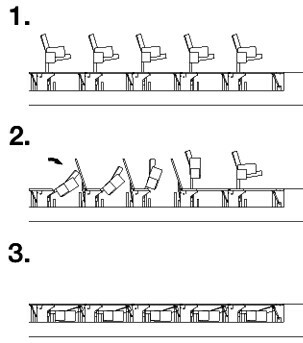 The spaces have been designed as neutral on the premise of versatility and transparency. 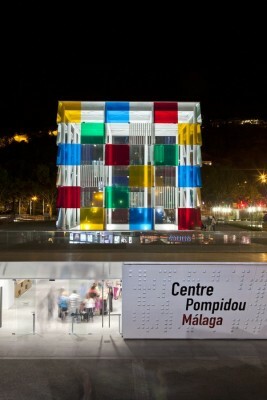 The Pompidou in Malaga has a small, somewhat hidden, auditorium of 120 seats in its interior. 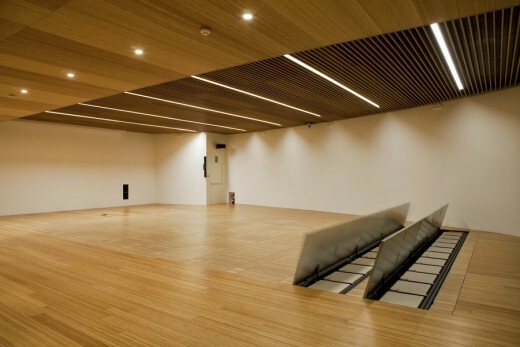 Given the versatility of the rest of the building, the architects assert that it is a multipurpose auditorium convertible into an open room when necessary. To be able to accomplish this project, an automatic system of Mutasub seats was recommended for installation with armchairs that could be stored underground. Since the raised floor of the room allowed this, the 6061MicroFlex compact armchair was added since you only need 35 cm of depth for concealing them. The seat model chosen is stylish and modern. The customised upholstery in beige creates a harmonious complement to the design of the room. 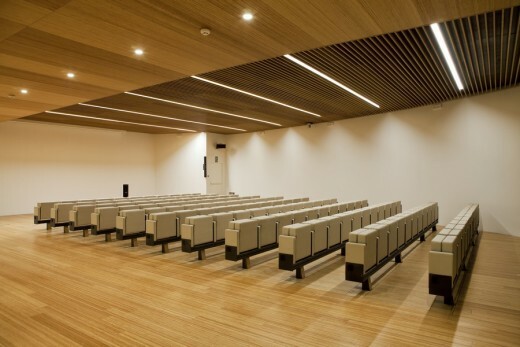 Thanks to the installation of this system, the hall is free for you to host other events in which the seats are not required.